For everything to fit together nicely without stress, the cuts need to be precise. I try to get near to 1/64 of an inch. 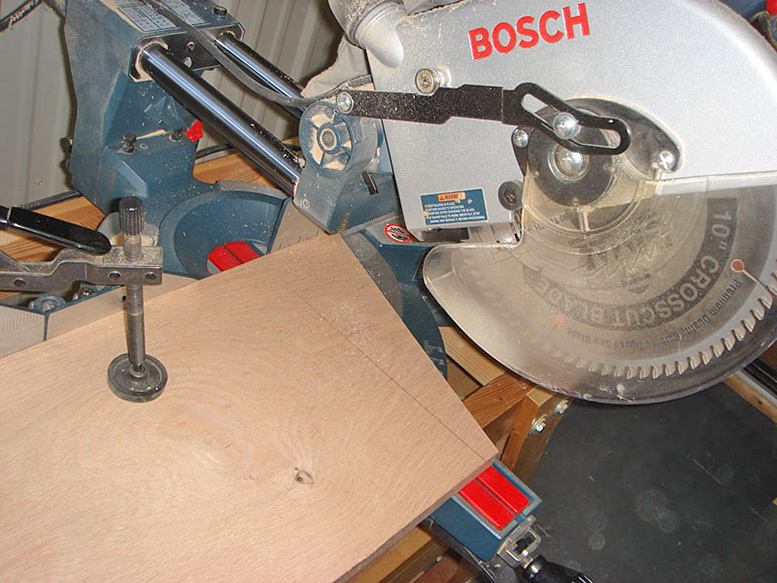 The Bosch miter saw is one of the best tools I've purchased for my shop. It enables me to achieve the kind of precision I want. I also use a sharp, good quality, carbide-tipped blade, which makes cutting through oak more like slicing warm butter (except cut wood smells better).